Meet Beth Allen's baby girl Nell, who shares her name with mom and great grandmother. At the very reasonable hour of 10.32am on a Tuesday in May, beautiful baby girl Nell Irene Rainee McDermott was born via Caesarean at Auckland Hospital to the tune of John Legend’s “Penthouse Floor”. And although her parents, former Shortland Street actress Beth Allen and her husband Charlie McDermott, insist they didn’t plan for the funky jam to be playing, the laid-back song sure fits their cruisy wee gem. 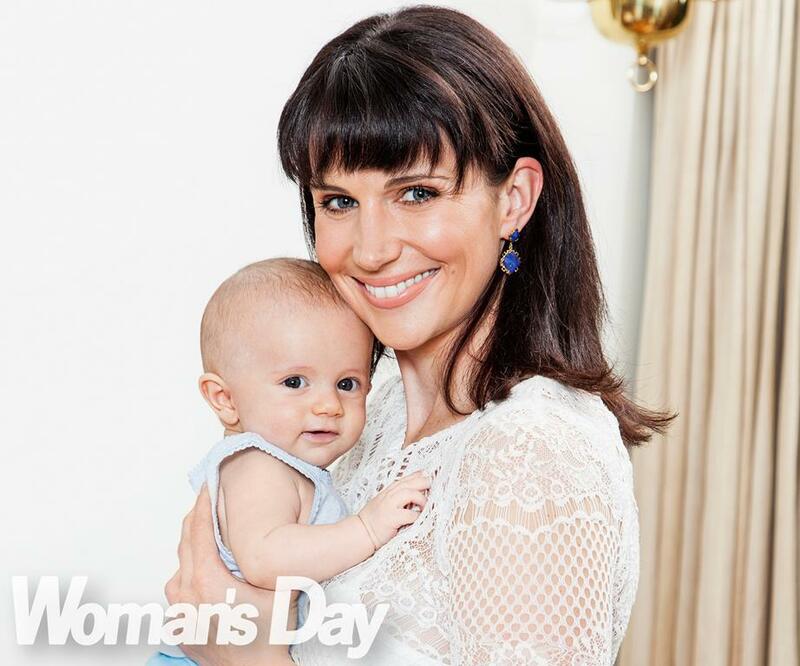 While the mother-of-two, who played scheming Brooke Freeman on the iconic Kiwi soap, had hoped to give birth naturally following the C-section she had with son Sid in 2016, doctors insisted she undergo the operation again as she showed no sign of going into labour almost a week after Nell’s due date. Her middle names honour other family members – Rainee comes from Beth’s mum Laraine, while Irene was Charlie’s grandmother who sadly passed away a few months before Nell was born. 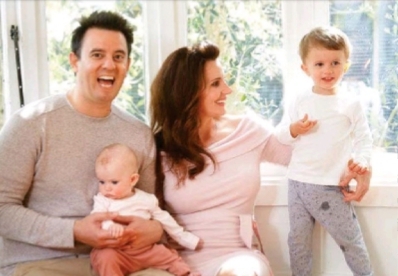 After a couple of years working hard here and in the US, Charlie – who created and produced the hit show Pleasure dome: The Musical – confesses that having a second child has forced him to slow down. “Now it’s like I can take my foot off the pedal and enjoy the moment,” he says. Beth agrees, “I really feel like it’s solidified us as a family. When you’ve got two kids, you have no option but to all be together and that’s really nice. Big brother Sid seems happy to have a baby sister too, briefly glancing away from Peppa Pig to give her a kiss on the forehead when he thinks no-one is looking. And although they have a busy household with two children, a dog named Ned and cat called Billie Jean, Charlie and Beth admit adding to their brood is definitely on the cards. Hello all, its update time again. Hope you have had a great start to 2014. Here's a lighthearted little audio interview with Beth Allen from ZM Online where she talks hair, ex-boyfriends and body issues. You would think Beth Allen had plenty on her plate playing Shortland Street’s Brooke Freeman. But when she’s not in front of the camera pretending to be the scheming doctor, you’ll usually find the talented actress in her dressing room, doing accounts, writing out invoices or emailing theatres. As if working on the fast-turnaround TV show wasn’t enough to keep her busy, Beth also runs a company – Royale Productions – with her husband Charlie McDermott, and has become adept at multitasking. “The other day I did my GST while I was having my hair done,” says Beth (29). Beth, who has been acting since she was 11, finds she has time on her hands because she is able to learn lines quickly, and her character isn’t often required for scenes unless they are necessary to her storyline. “The good thing about Brooke is she doesn’t have any friends, so she doesn’t sit in the staff room ‘catching up’ with people. Brooke’s scenes tend to be all about Brooke, so I tend to have fewer than other actors,” says Beth, laughing. The name Royale Productions is inspired by their names – Elizabeth and Charles. You might wonder why Beth feels the need to take on extra commitments when she has an established role, but she points out that acting is not the most stable employment, and she and Charlie (also an actor-turned-producer) are keen to create opportunities – not just for themselves, but other actors, too. “This is a really fickle industry – you don’t know what will happen next,” Beth says. Plus, Beth doesn’t like sitting around doing nothing. Royale Productions has been responsible for a variety of theatre shows, including good friend Michael Hurst’s one-man show No Holds Bard, and an interactive production called Apocalypse Z, in which the audience becomes part of a zombie invasion. Royale is also producing a two-hander play later this year titled Between the Sheets, starring Beth and Michael’s wife Jennifer Ward-Lealand. “Producing did start out as a way of creating my own projects, but it has turned into a lot more than that,” says Beth. Charlie agrees. “As an actor, I need to be in charge of my own destiny – I don’t want to have to rely on someone else. Along with producing and acting, Charlie is also the general manager of Auckland’s Basement Theatre. It means a full schedule, but like his wife, who he married in February 2011, he’s not afraid of rolling up his sleeves and getting stuck in. “I love hard work,” says Charlie (30). “I come from a farming background, from salt-of-the-earth people who expect to work hard. Beth admits they have to be careful not to take on too much. Running a business together can be tricky for some couples, but it’s easier for Charlie and Beth because they are not in an office together all day. “It is probably just as well Beth is at Shortland Street,” adds Charlie, grinning at his wife. And they tend not to quarrel, according to Beth – at least not over important stuff. When she’s not playing manipulative Brooke in Shortland Street, Beth is learning the ins and outs of production. They complement each other, adds Charlie, because while he’s good at seeing the big picture, Beth is great at the details. Beth, meanwhile, credits her husband of two years with helping her think outside of the square. The couple have lots of ideas for creative projects further down the track, and have come up with plans for the next 12 months, five and 10 years, both personally and professionally. “We are determined to stick to those plans,” says Charlie. “It is on the cards,” confirms Beth. “We do want to have a family, but I’m not leaving Shortland Street anytime soon.